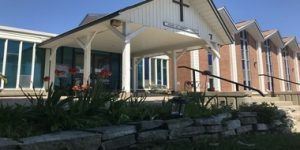 Julian of Norwich Anglican Church, with support of the Anglican Diocese of Ottawa are currently discerning a call to transform our property to create a new sanctuary space for the congregation and to maximize the property to benefit the quality of life of residents in the surrounding community. Update information will be found here but the project itself is complex and thus it may be incomplete and/or change quickly. If you have any questions please contact the Reverend Monique Stone at revmoniquestone[at]gmail.com for more information. The next important UPDATE will happen on Sunday, January 27th at the 10am Service. Please join in for the service, followed by a presentation by the Reverend Monique and supporting consultants. This is a very important meeting of our congregation and you are encouraged to attend. A meeting was held with planning and real estate experts who are members of the diocesan community along with our consultants and many members of diocesan staff (and the Bishop) to talk about the work that Julian has done so far and some of the opportunities and challenges that we foresee moving forward. Two documents (available in the sanctuary) were used to guide the conversation and some amazing wisdom was gained. A few meetings have happened in the last six weeks to discuss what potential partnerships could look like and how these partnerships can further our ministry goals and help us achieve a project that will also ensure our parish does not try to do something we don’t have the expertise to do (nor the finances to do). We know that this project must include several partners who will walk alongside us to create a new community on this space that also includes a sacred space and the required office space, gathering space and kitchen that will allow us to continue our parish ministry in a sustainable way. At each of these meetings there have been two to three members of our parish and our message continues to be one of excitement to do something new and for the social good whilst doing so in a way that is realistic for the context of our parish community. It is hoped that we will have defined our key Equity Partners by early 2019 (those who will be taking the lead on the big pieces of the development, take on the financial risk of things like the affordable rental housing and affordable home ownership) and also have some ideas around Tenant Partners (those who may rent space from the parish and/or the equity partners for community services, etc). We continue to have conversations amongst the members of our Internal Ministry Discernment Group, parishioners, and Parish Council. The next report to all parishioners will take place on Sunday, January 27th after the 10am service. This will be an important meeting to attend to see we have learned so far and the ways in which we are recommending to move forward. A reminder that any recommendations will be made based on the guiding principles outlined in our various materials. What else is happening in November/December? We will look at creating a ‘phasing’ schedule that minimizes the need (or removes the need all together) for the parish to worship anywhere else other than the existing sanctuary and/or Parish Hall during construction – this is an aim but we don’t know the answer to this at this point. If you have questions and comments please don’t hesitate to bring them forward. Over the past few weeks I have had a few different conversations with people that began with various misconceptions and feelings that we were not ‘on the same page’. Though conversation we realized that we had many of the same concerns and hopes and by the end of it we ended up recognizing that we were both looking for the same hopes and dreams for our parishes future ministry. I do not shy from conflict or concern… every conversation is important and I welcome our discussions on this project moving forward. Please email me if you would like to chat or speak to any of the above parishioners. A reminder that the two documents below give a thorough update on what is going on with the ministry development documents.